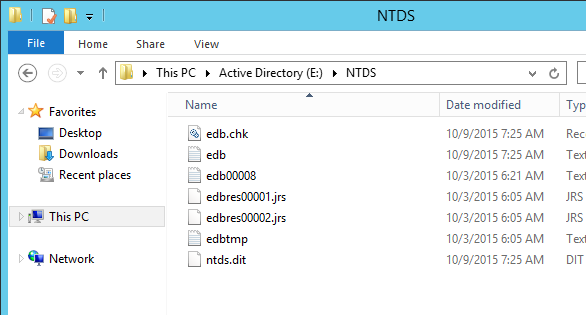 The AD was installed and configured, so I had to gracefully move the DB and Logs files from there default locations. 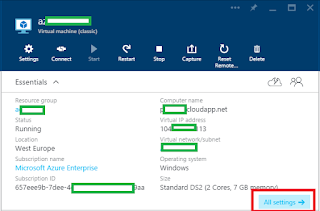 If you have not already installed Active Directory on your Azure VM's, simply change the installation location when you are going through the wizard. 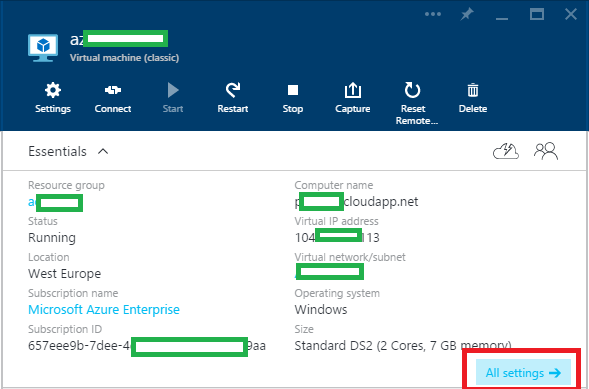 To create a new data disk in Azure for your VM, click the VM in the Preview Portal, and click All Settings. Click the Attach New icon. Select a Storage Container in which to provision the data disk into, label the disk something descriptive and also set a size. 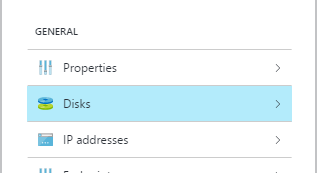 You should probably do some investigation into how big your Active Directory database is before you do this. 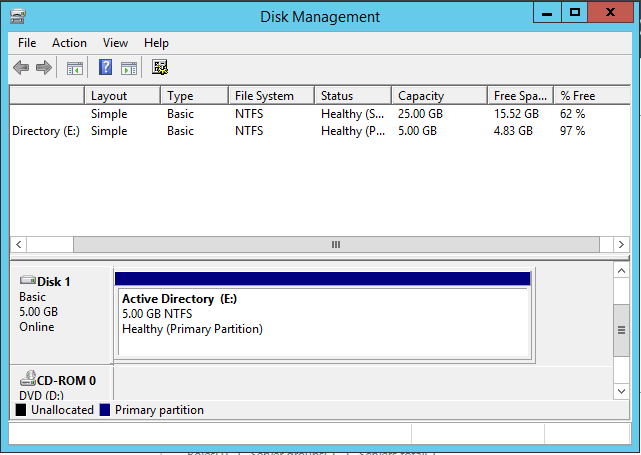 Its important Host Caching is set to none. Click Create. 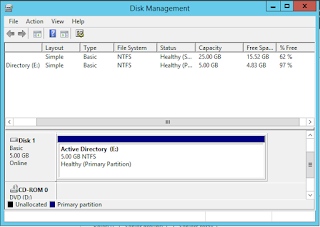 Once the operation to create an attach the new data disk is complete, use Disk Management (or diskpart) to online, initialize and format the disk. 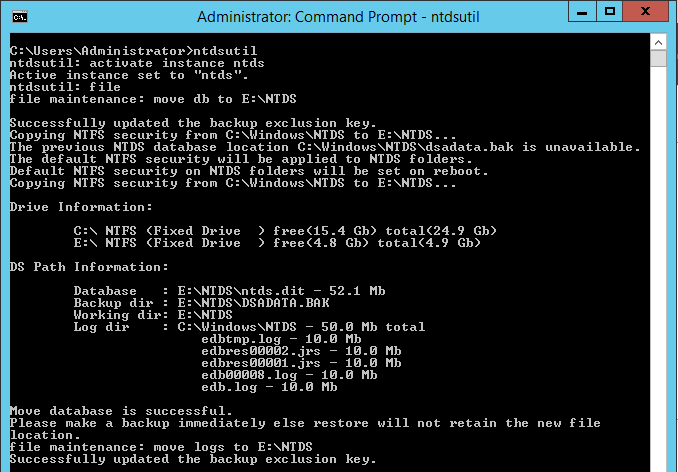 Please note, as the Active Directory database requires some special permissions, the disk must be formatted in NTFS. On a Domain Controller open an Administrative Command Prompt. 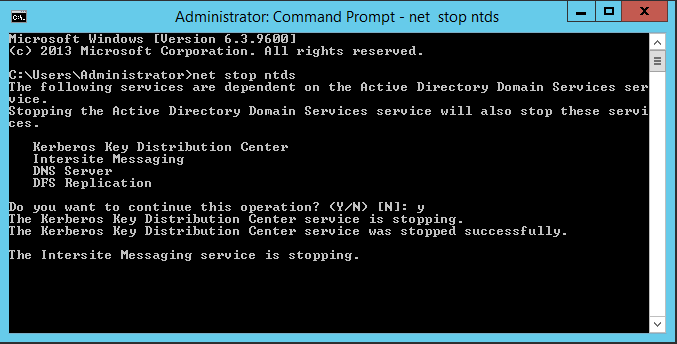 The following command will stop the AD DS service, please hit Y to confirm that the AD DS service can be stopped along with the other dependent services. The following commands (and sub-commands of NTDSUTIL) should move your AD database and logs without any problems. 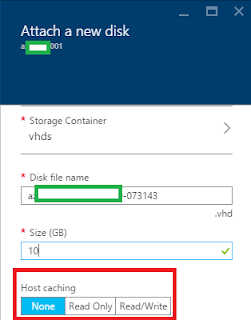 You do not have to pre-create the folder on the new disk. 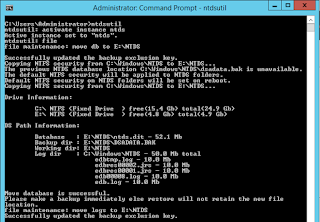 After the reboot the AD files should now be re-homed.